US band SNEW have been doing the rounds live and in studio ever since 2005, and drawing some positive attention to themselves with their previous three albums “Snew You”, “We Do What We Want” and “What’s It to Ya”, all released in what appears to have been a fairly active period of the band’s history between 2008 and 2012. 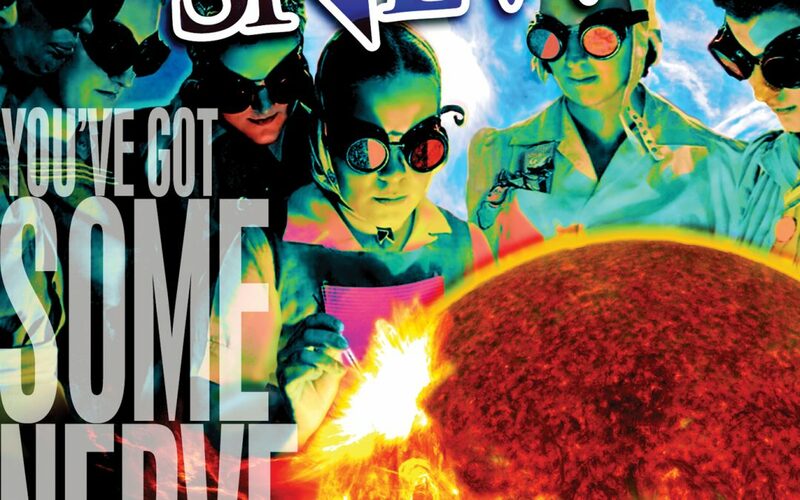 Following a six year hiatus as recording artists, Snew reappears in 2018 with their fourth album “You’ve Got Some Nerve”. As many other bands opts to do these days, they have chosen to release the album themselves. It won’t take all that long for anyone listening to this album to get strong associations towards one specific band: AC/DC. This is due to the voice and vocal style of lead singer Curtis Don Vito, who probably could do a much better job as a stand in vocalist for the Aussies than certain others that have been give the chance lately. His main mode of delivery is a bit more melodic and a tad less powerful than both Bon Scott and Brian Johnson, and Vito tends to be a bit more expressive as well, but the similarities are undeniable. And for my sake I do find Snew to be most intriguing when the rest of the band follows the cues of the vocals and heads off into a bass-pounding, boogie driven variety of 70’s party ‘n roll AC/DC style as well. This is a band that at it’s best comes across as tailor made to explore and exploit this specific take on hard rock in a fun-filled, party mood manner of the kind that comes complete with the smell of stale beer bottles from yesterday’s party night out. Snew does attempt to expand their boundaries a bit beyond this landscape though, with a variable degree of success. The inclusion of brass details and what may or may not be a touch of soul music with them on a couple of occasions isn’t as interesting as it may sound, at least to my ears, but I guess these cuts may well have a slightly broader reach and possibly a stronger pull for radio plays as well. For my sake these excursions lacks the energy and the punch I feel this band needs and relies on though, but this softer touch may well make them interesting to a broader audience base. I find the band’s excursions onto a more generic, blues based hard rock landscape a bit more interesting though, adding careful organ overlays and in one case some harmonica details to the sonic palette. The cut “Revolution Is a Closed Loop’ the most successful of these to my ears, where richer, more majestic instrument textures manage to replace drive, pace and momentum as providers of energy and tension for the occasion. That being said, the core of Snew as I experience them on this album is easygoing, fun-filled and energetic party ‘n roll made following the cues and leads AC/DC have provided in ample amounts over the years. And I see this band and this album as one that will have it’s strongest appeal towards that specific audience base.